SEPTA’s Recycled Energy and Optimization Project is on its way thanks to a Li-ion energy storage battery that will recover energy generated by braking trains, essentially recycling it for further use. The battery will be designed, manufactured and commissioned by Saft, a France-based high technology battery corporation recognized world-wide for its energy-generating products. The choice to work with Saft was made by Viridity Energy, the Conshohocken-based smart energy company collaborating with SEPTA on the project. The battery (an Intensium Max20 Li-ion megawatt energy storage system…whew…) will work like so: Energy from braking trains will be captured and then discharged back to the tracks’ third rail (also known as the power rail) to be used to power trains leaving the same station. The captured energy will also be utilized to make some moolah via participation in power markets. Although this is only a pilot program, success could mean energy capturing batteries at up to 32 SEPTA sub-stations. 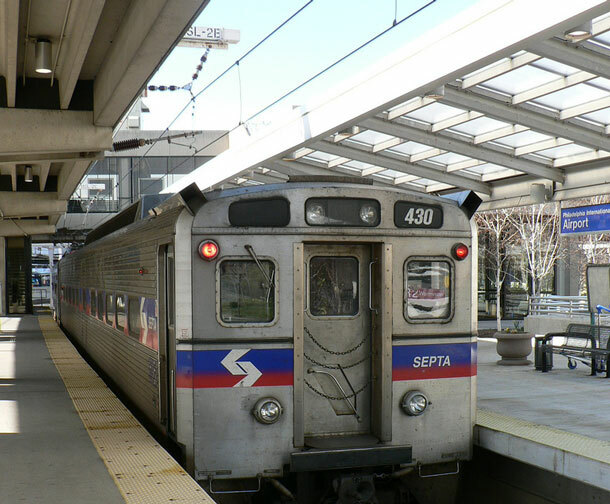 Participation in this project also makes SEPTA one of the first transportation companies in the U.S. to use this trackside energy storage system, and could demonstrate the ability to utilize stored energy in both recycling and revenue-generating manners. The project should be fully commissioned by this year’s end.